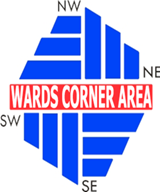 The following letter was received regarding the Wards Corner Business Association meeting. Please attend if you can! Come join the Greater Wards Corner Area Business Association Tuesday, March 17th upstairs in the meeting room of FARM FRESH, 230 E. Little Creek Road, Norfolk, VA. 23505. Doors open at 8:00 a.m. The meeting will begin at 8:30 a.m. and end at 9:30 a.m. Since a light breakfast will be served, it is requested that you please RSVP gwcaba@cox.net or call me and leave a message at 587-7975 by March 13th, 2015. Our guest speaker will be: Sara Parker, Assistant Director, Marketing Department of Development for the City of Norfolk. In the event of future snow or ice storms, is it possible for the businesses in the area to shovel sidewalks on Granby Street and East & West Little Creek Road? During this last storm, many pedestrians and handicapped individuals in wheelchairs traversed in the traffic lanes to get where they were going because they couldn’t navigate the sidewalks. This was extremely hazardous for them and for the drivers of the vehicles who barely missed them. The city was dealing with clearing roadways and bridges and didn’t have the resources to clear sidewalks on city property. Perhaps businesses could extend their area of kindness and responsibility to make Wards Corner safer for all. Thanks so much. The continued growth and improvement of your business area is crucial and depends on you and your involvement and the effort you are willing to commit. There is strength in numbers and that is why it is so important to have a strong Business Association, working together as one. Mark your calendar, come and join your fellow business partners. We have a lot to discuss. This entry was posted on Thursday, March 5th, 2015 at 10:37 am and is filed under Wards Corner Business District. You can follow any responses to this entry through the RSS 2.0 feed. Both comments and pings are currently closed. I am planning on attending this meeting. I don¹t remember if I wrote you earlier.